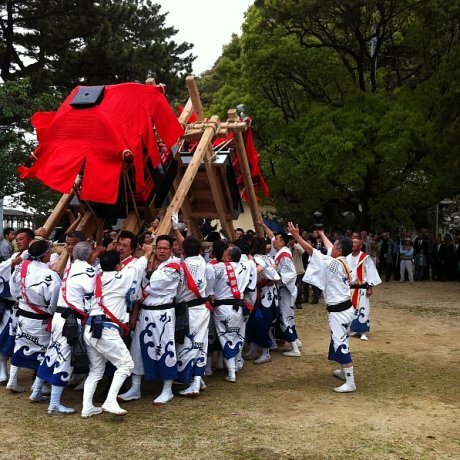 In early May, the Hojo Kashima Spring Festival is held in the area known as "Kazahaya" to the north of Matsuyama. 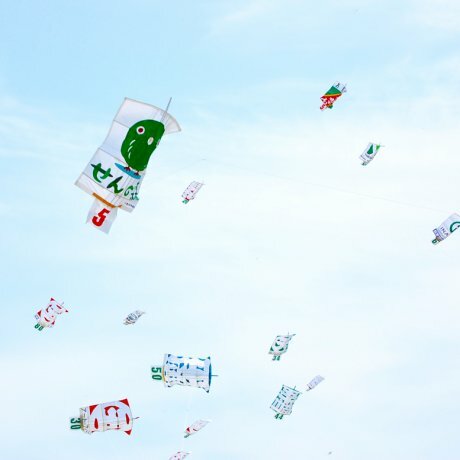 On the first..
On May 5th every year, teams fight it out on the banks of the Oda River in Ikazaki--with traditional Japanese paper kites. 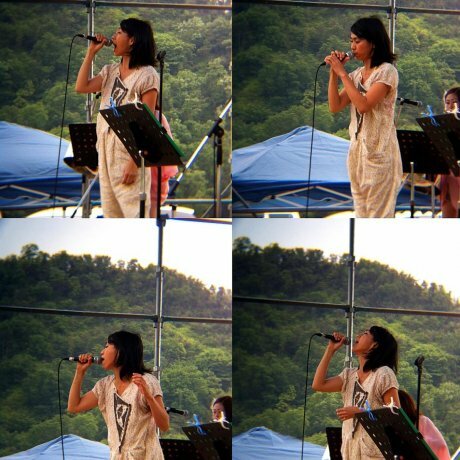 Live Earth Matsuyama is a festival for music, environmental activism and ethnic food in the middle of May. 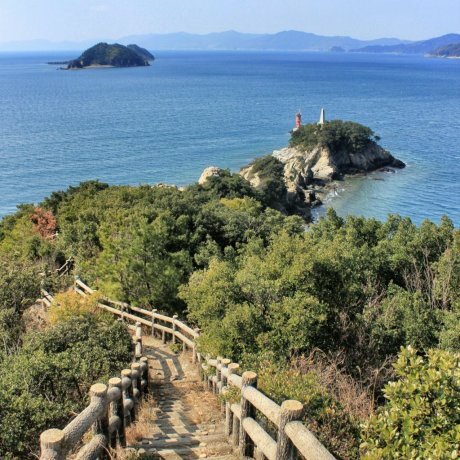 Located in northwestern Shikoku and bordering the Seto Inland Sea, Ehime is surrounded by nature - visitors can enjoy great views of the Inland Sea coast and the Seto Inland Sea National Park. 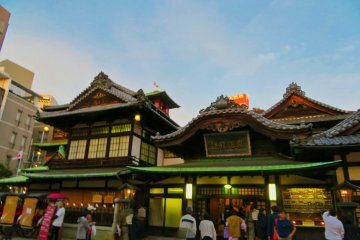 Many tourists also flock to Ehime to visit Dogo Onsen, arguably the most storied hot springs in Japan, as well as the historical Matsuyama and Uwajima castles. 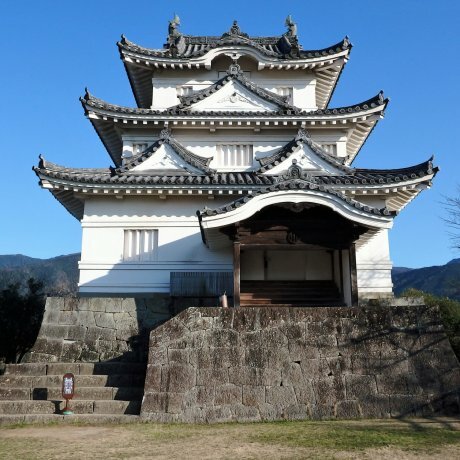 In fact, Ehime has five of Japan's "Top 100 Castles," the most of any prefecture (tied with Hyogo and Nagano). 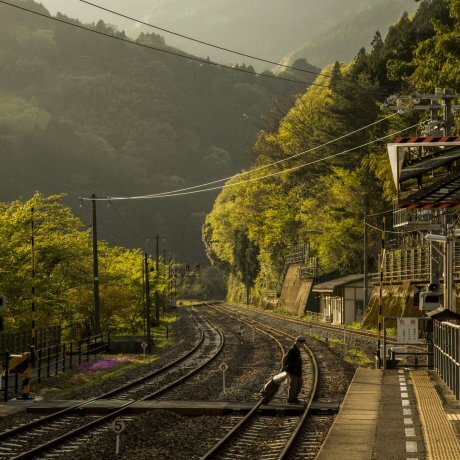 The capital city of Matsuyama is perhaps most famous for being the scene of Natsume Soseki's Botchan, one of Japan's most beloved novels. 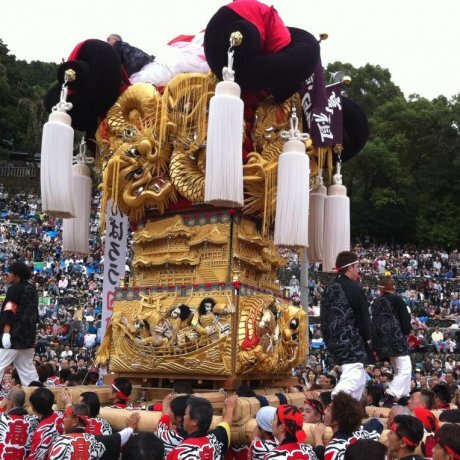 As a result, many attractions in the city bear its name, such as the Botchan Train. 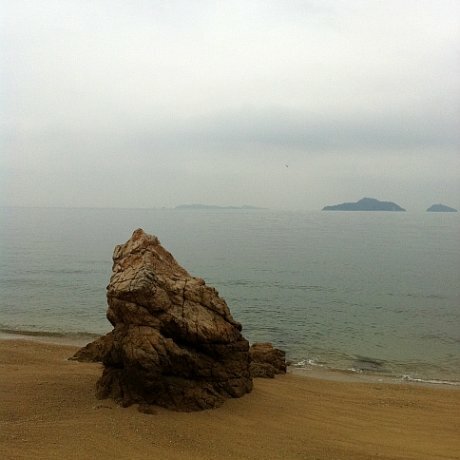 Near the port in Imabari (今治市, Imabari-shi) is a huge, beautifully made ship's propeller displayed as sculpture. It looks like a giant flower. 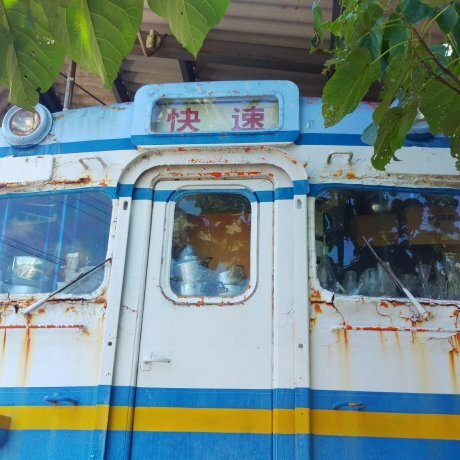 In front of it are the words "Zo-sen no mach..
Niihama City in Ehime Prefecture is a bustling industrial city of 124,000 people on the north coast of Shikoku. 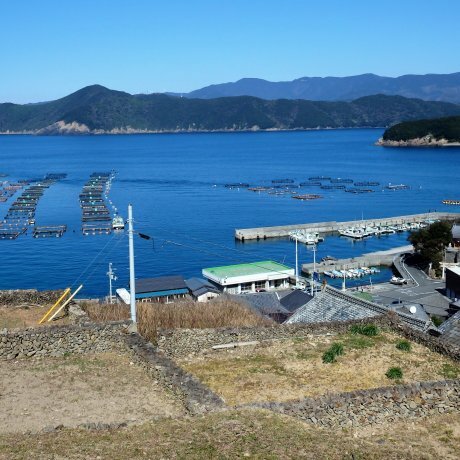 Although the waterfront is dominated by Sumitomo factories, there are many sce..
Yawatahama is a sleepy port town in the armpit of Japan's longest peninsula, the Sadamisaki Peninsula that juts out of the western side of Shikoku, into the sea known as Uwakai. 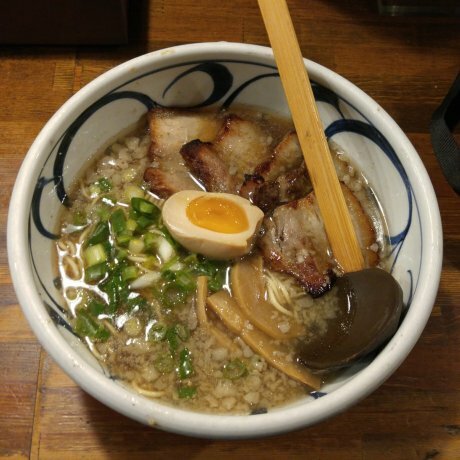 This is the ..
Fabulous ramen in Matsuyama with a soy sauce base and wonderful atmosphere. 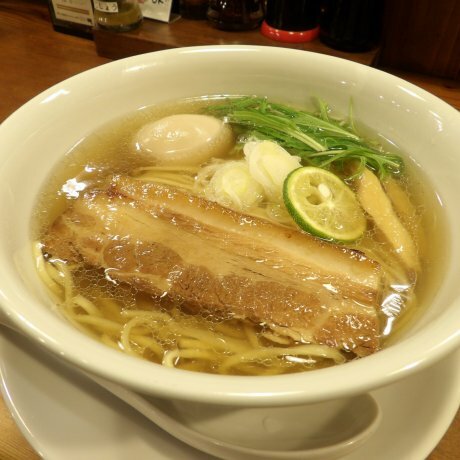 A pleasant torishio base ramen shop in Matsuyama which really shows off the flavours Shikoku has to offer. 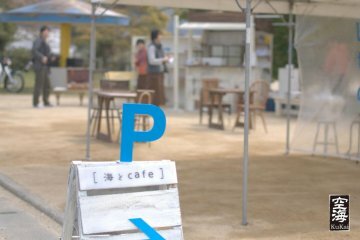 Worth visiting for their..
Denpun is a tiny, blue and yellow vintage train carriage restaurant on the banks of the Isshite river, situated between Isshitei-ji.. 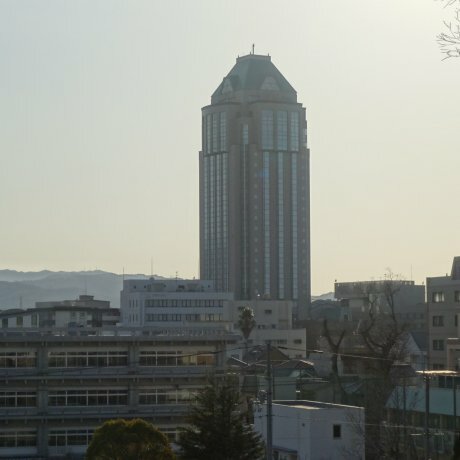 This business hotel with public bath offers basic comfort at the foot of Uwajima Castle. 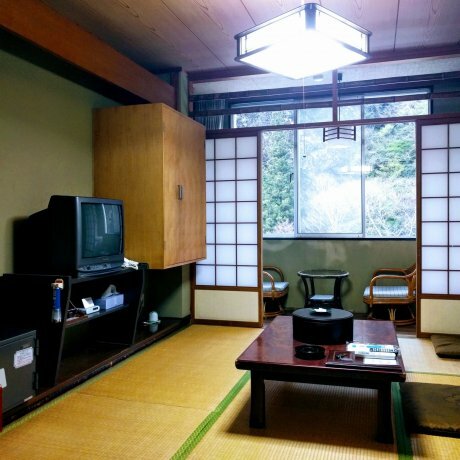 Furuiwayaso offers basic accommodation with hot spring bath in a remote mountainous part of Ehime Prefecture. 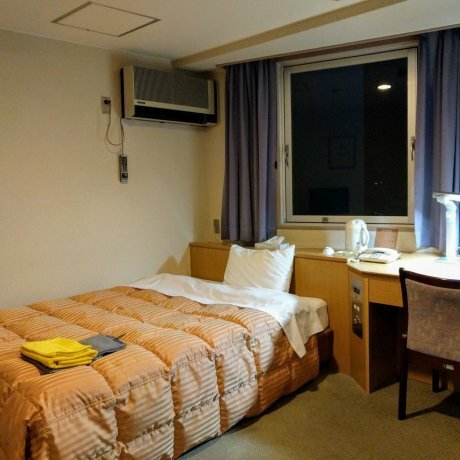 It's close to..
Classy comfort can be found at the Imabari Kokusai Hotel in northern Ehime Prefecture. 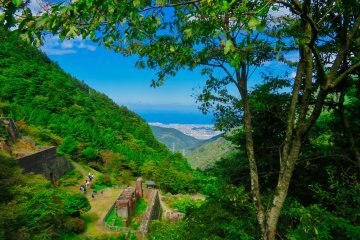 Being Japan's smallest island, Shikoku isn't the first place most first-time or even second-time travellers would cons..
Ehime's Uwajima-jo is one of only 12 remaining castles in Japan with an original main keep. 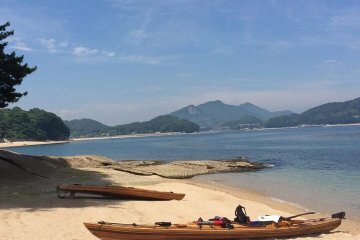 It sits on the top of a hill with..
Ehime's Sotodomari Ishigaki-no-sato is a historic stone-walled village by the sea in southwest Shikoku.